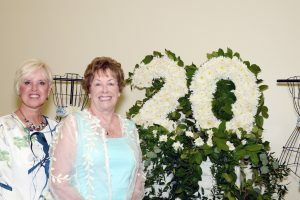 To honor and commemorate abused children, Hibiscus Children’s Center hosted the “20th Anniversary Blue Ribbon Luncheon & Fashion Show” on April 4, 2019, at Oak Harbor Club in Vero Beach. The fabulous affair was a celebration of 20 years of showcasing beautiful fashions and a lovely afternoon together raising critical funds and awareness for abused youth. The guests all looked lovely in Spring colors and some wore beautiful hats! Bidding on terrific silent auction items is enjoyed by the guests. The runway fashion show is always a highlight of the afternoon which featured looks from Cashmere Beach, Cooper & Co., Frances Brewster, J. McLaughlin, Pineapples, Sara Campbell Ltd, Sassy Boutique, and Vernon Scott. Seven husbands of committee members, looking distinguished in Vernon Scott attire, served as ambassadors. Thank you to our Master of Ceremonies, Karen Loeffler, and to our wonderful Event Co-chairs, Sue Sharpe and Diane Wilhelm, who once again coordinated a fantastic affair! Our Keynote Speaker, Suzanne Bertman, has been a dedicated Hibiscus volunteer for over 18 years. 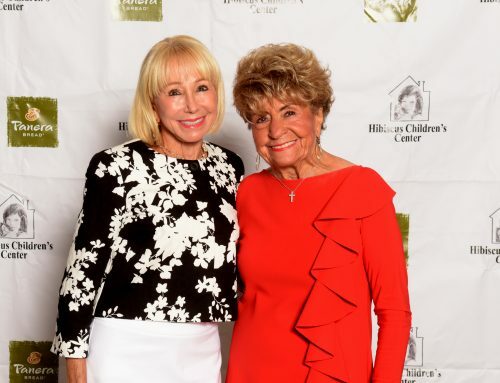 She shared heartfelt stories about the teens living at the Hibiscus Village and the traumatic circumstances they have endured, but through the support of Hibiscus and generous supporters, teens lives have been transformed and provided the necessary tools to build a stronger and brighter future. 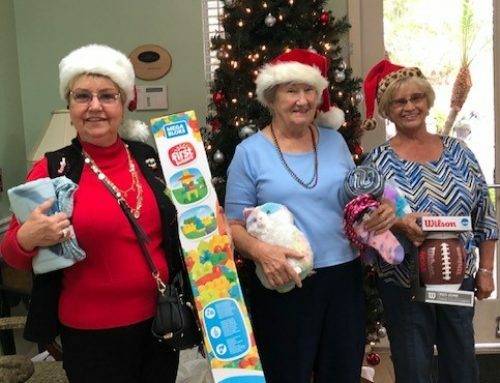 “In addition to the support from the Guild members, we can’t thank enough the many businesses and individuals that donate items for our silent auction. We are thankful we have such a generous community”, expressed co-chair Diane Wilhelm. This event would not be possible without the many passionate volunteers and generous supporters who are so dedicated to making life better for our youth. 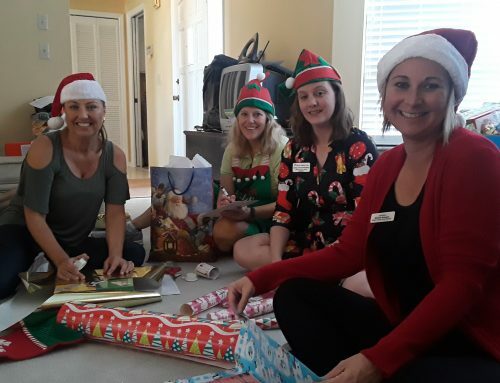 Hibiscus Children’s Center would like to thank our generous sponsors and underwriters: Corporate Sponsors – Wilmington Trust, George E. Warren LLC, Celebrity Cruises, Disney’s Vero Beach Resort, Manning & Napier, Robin Lloyd & Associates, P.A. ; Runway Underwriter – Miriam Grabow; Invitation & Program Underwriters – Jan & Mike Harrell; Centerpieces & Decorations Underwriter – Helen Taylor Robertson; Champagne Underwriter – Divine Animal Hospital – Dr. Randy & Sandy Divine; Wine Underwriter – Becky Torbin; Carousel Sponsor – Marie O’Reilly; Love Sponsors – Mrs. Herman F. Becker, Carole B. 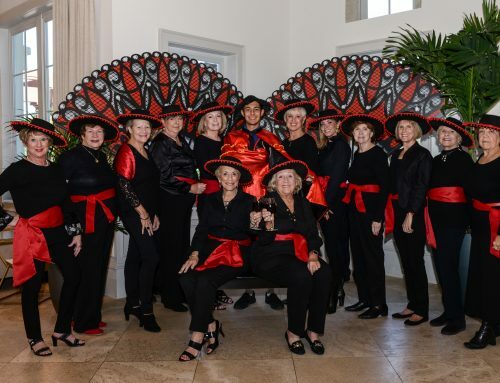 Brown, Rita Chanfrau, Marie Ek, Linda Teetz ; Cradle Sponsors – Mary Cay Cancelosi, Elke Fetterolf, Susan Pfau, Bonnie Wilson; Lullaby Sponsor – Daley and Company Real Estate. Thank you to everyone who helped make the 20th Anniversary Blue Ribbon Luncheon and Fashion Show a tremendous success – all for the youth. 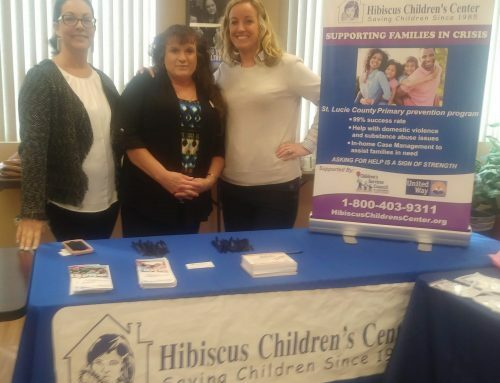 If you would like more information on Hibiscus’ services, please visit us at: HibiscusChildrensCenter.org.